Never mind, “Remember, remember the 5th of November”…..this month is all about WOVEMBER and do I have a lot of lovely woolly content for you?! Listen here, on iTunes or the podcast app. News: It’s Wovember! I am delighted to have been ask to join in the hosting fun! Join in with a WAL and the photo contest. All about our collective appreciation for wool, throughout WOVEMBER we will be posting articles and stories that talk of the whole wool journey as well as tackling the misappropriation of terms relating to wool and how these are very loosely applied in fashion. Real wool comes from real sheep! 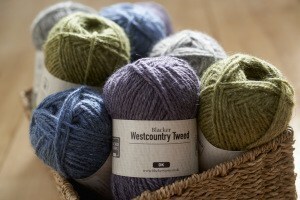 Yarn Preview – Blacker West Country Tweed DK is due out on the 14th Nov. I have a sneak preview to share with you! Product details will be added here on the launch day (14th). 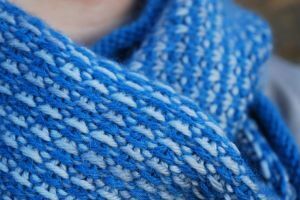 The yarn is a blend of Teeswater cross and Black Welsh Mountain fleece and the flocks are less than 100 miles apart – it knits up into a beautiful fabric with a lot of spring, softness and flashes of subtle coloured nepps. 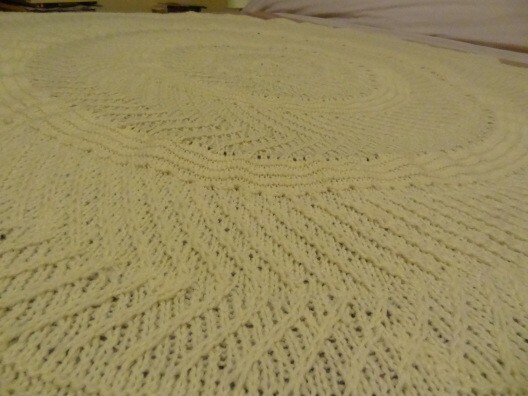 Cast off – THE TREE RINGS BLANKET IS DONE! WAHOOOO! From Wool People 6 – I cast Andrea Rangel’s design on 26th Dec 2013 and it is done! #WIPCRACKAWAY! The WIPalong finishes in a week and I am sure you could still take part! Check out the KB group and the Yarns from the Plain group for chat threads and FO galleries. EXCLUSIVE: Jess James and Clare Devine talk about their new collaboration that people who love British wool will want to hear! The Neighbourhood Sheep Society Best of British Yarn and Pattern club! It is on sale NOW in Jess’s online shop and if at all interested then get over there as places are limited. Three delicious British and rare breed yarns, from carefully selected small flocks….and three designs by Clare to show off the yarn beautifully! Also mentioning new sock patterns Jozi, Corrugate and the Snell cowl. Spin on/spin off (very occasional section) Hilltop Cloud Ynys Mon is a dream to drop spindle! Also briefly mention Abby Franquemont’s Respect the Spindle. 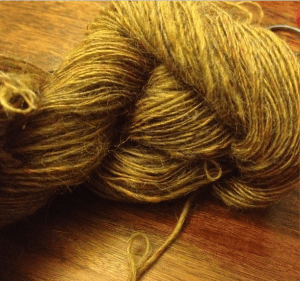 Hellos and thanks: Do you know who lost a shawl at Shetland Wool Week? Happy dance for the finished Tree Rings! 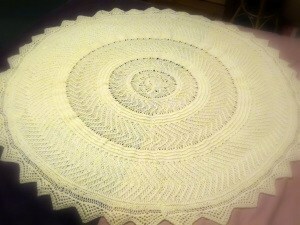 Great job with the Tree Rings Blanket! Just listened to podcast!lots of fun and good information!I just bought the 3 month subscription to Sheep Society Best of British Yarns and Pattern Club, will look forward to receiving them in the new year. Thanks for another entertaining visit from across the pond! AWesome! I hope you enjoy that lovely club, I am sure you will. Haha! no, it is the sound of the wind howling in the old church doors of the library, sweeping in the foyer and seething through the sliding doors. Just part of my daily soundscape in Shetland, So similar though! Hilarious.